Have you ever found yourself in a situation where you said something confidential to a friend on Facebook; only to find that someone else has read the message? It has likely happened to everyone once before – even me – and it didn’t go down to well (more on my story later). 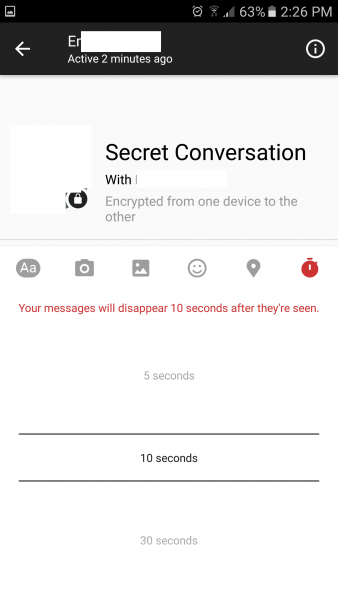 But Facebook’s latest tool “Secret Conversations” now enables you to have encrypted conversations Device-to-Device, in which you can even set expiry for messages and pictures after a certain amount of time – a bit like Snapchat. What are “Secret Conversations” on Facebook? Facebook has recently launched what is known as “Secret Conversions” on Facebook and Messenger, however, it is disabled by default. Secret Conversations is an encrypted, end-to-end private chat. This means, only you and the other person can read and communicate, and only on the devices you are currently on. This means, that if you are logged onto Facebook on another device such as your home computer, those messages will not be visible. Each device is also given a device key that you can use to verify that messages are encrypted. 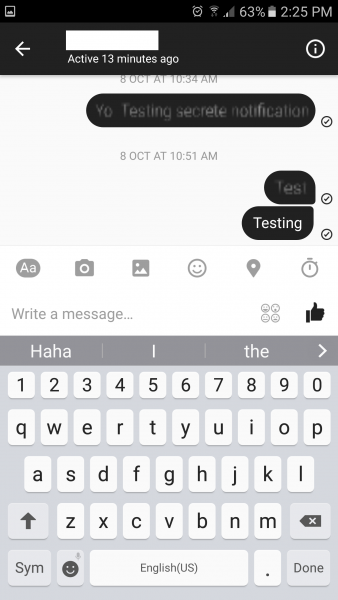 With Facebook’s secret conversations, you can send messages, pictures and stickers. Unfortunately, you cannot send Gifs, videos, voice, or video calling. 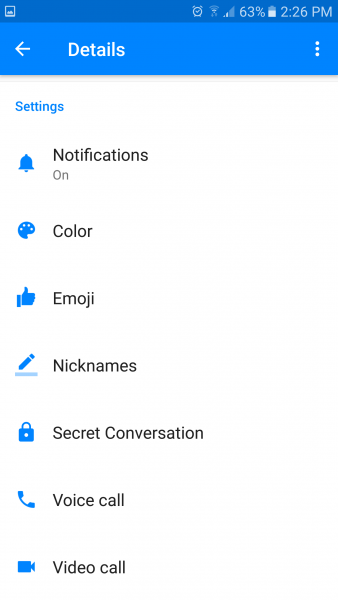 To start using Secret Conversations on Messenger and Facebook, you first need to turn it on. To do this, open the Messenger App and click on Write New Message. Then hit the switch up the top right and select you recipient. If Secret Conversations isn’t activated, you will first need to do this. 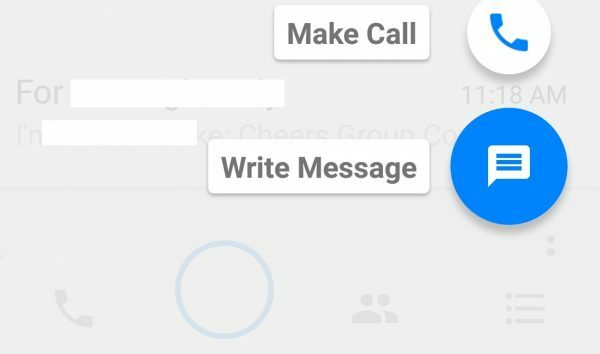 If a recipient doesn’t have the option, it is likely they are using an outdated version of the Messenger App, or haven’t enabled Secret Conversations yet. Alternatively, you can press the “Information” icon in a chat, and select “Secret Conversion” to begin talking to them with encryption. If you want to expire Facebook messages, press the timer button on the right. You can expiry messages within 5 seconds, up to 1 day – or turn the feature completely off. Keep in mind, if a user screenshots the message or picture, you won’t receive a notification of them doing so. The timer also starts when Facebook marks your message as read – so you may have the message or picture visible on your device through a notification, but the countdown time only starts until you actually entered into the Messenger app. Can Secret Conversations Be Decrypted by Facebook? According to Facebook Help, the answer is yes – Secret Conversations can be decrypted and Facebook can read messages. However, only if you report the message as inappropriate. If you think a message you’ve received in a secret conversation goes against our Community Standards, you can report it. When you report a secret conversation, recent messages from that conversation will be decrypted and sent securely from your device to our Help Team for review. We won’t tell the person you’re talking to that you reported it. Note: People in secret conversations can set messages to disappear. You can report messages for a short time after they’ve disappeared. So whether Facebook can decrypt messages at any time, that’s up to your discretion. I’m going to lean more towards the “yes” side of things based on the fact that you can report messages for a short time after they’ve disappeared. So Jack, What’s Your Story? Unfortunately, I won’t go too much into detail, but I was having a conversation about something – rumours that were going around through our friendship group. So, while I was talking to this person through Facebook Messenger, someone else in their family was on their iPad, with the conversation being read as it was happening. So, to end the story, it was really the last time I had a conversation with this person. If only I was using Facebook’s Secret Conversation – we’d still be friends probably. What To Do When You Don’t Have Electricity?